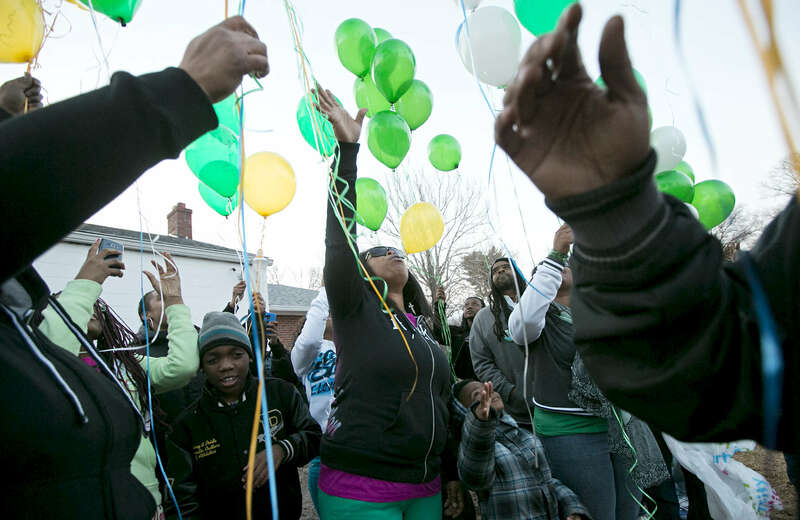 Shenelle Burgess (center) releases balloons with her family and friends at the grave of her son Pierre Childs at New Bethlehem Cemetery on Wednesday, March 5, 2014. Police believe that Childs,16, was the unintended victim of a shooting on May, 7, 2013. The family of Childs has been helped through the grieving and police investigation process by a minister assigned to the family by the police department. The family gathered to release balloons to mark what would have been Childs' 17th birthday. To date no one has been charged with Childs' murder.